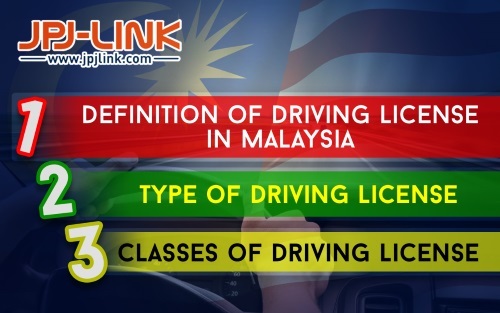 A driving license is required in Malaysia before a person is allowed to drive a motor vehicle of any description on the road in Malaysia under Road Transportation Act 1987, section 26(1). According to Section 26(1) of Road Transportation Act, an individual must possess a valid driving license before being permitted to drive on the road, or the individual can be prosecuted under section 26(2) with penalties or jail or both of them. Driving license holders are subject to all traffic rules stated in the Malaysian Road Transportation Act 1987. Possessed by learners in driving schools. They must first attend a 6 hour of KPP01 or known as Safety Driving Theory, then a Section I examination or Road Laws and Safety Driving. Starting September 2014, LDL License is issued after the candidate of Section I examination pass their exam without needs to attend Safety Driving Learning Class. License holders are only permitted to drive cars displaying the L plate owned by driving schools under the supervision of a driving school instructor. For motorcycle learner’s license holders, they are permitted to ride a motorcycle without a pillion. The learner’s license may be renewed every 3 or 6 months but the license cannot be possessed for more than 2 years. After the 2 years due date, the license holders may go to Road Transportation Department (JPJ) to attend of KPP01. Possessed by new drivers who have passed all the driving lesson procedures and tests. Holders also need to ensure to bring along driving license when driving. New drivers are subject to the 10-point Road Safety System (KEJARA) demerit point system, where points will be deducted according to the types of traffic infractions. License will be revoked after a probationary license holder accumulates 10 demerit points. Probationary drivers are required to display the probationary license plate (marked with white capital P in square red background) at the front and back of their respective vehicles. A probationary license may be upgraded to a full competent driving license after 2 years, and a grace period of a year is given to upgrade the license before the license holder may need to restart the whole driving lesson procedures. A full-fledged driving license being upgraded from the probationary license after 2 years. CDL holders are subject to the 15-point KEJARA system before their license may be suspended or revoked. Competent driving license may be renewed after every 1, 2, 3 or 5 years. 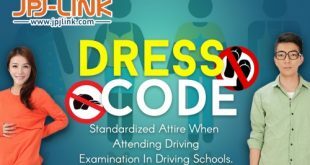 A grace period of three years is given to renew the license before the license holder may need to restart the whole driving lesson procedures. A special driving license for commercial vehicle drivers such as lorries and buses, issued jointly with the Commercial Vehicle Licensing Authority (LPKP). International driving license for Malaysian drivers to drive in foreign countries. Foreigners with IDP issued by their respective countries may also be allowed to drive in Malaysia for a period of 1 year. In addition to the above foreigners can drive with License issued in their country (depending on category A or B), after due procedures.